We are a 501(c)(3) non-profit organization. We happily accept donations to pay for medical expenses, supplies, and transports to rescues with the money we raise. 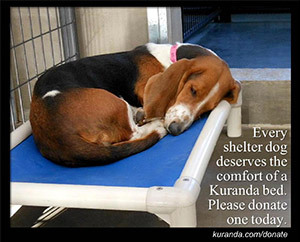 Please make checks payable to "Friends of The New Haven Animal Shelter" or "FNHAS". Your donated vehicle may qualify for a tax deduction! Just complete the donation form or call the Car Donation Center @ 1-800-240-0160. The Friends has established a program that allows you to make a memorial donation for your pet or in honor of a pet of a friend. A personalized certificate memorializing the pet will be sent to his/her human companion. Donate via Pay Pal address above with a special notation of what you would like to say or by regular mail with notation on the check. See mailing address above. Memorials will also be listed in our newsletter.